Today is the day I've been waiting for this entire challenge. 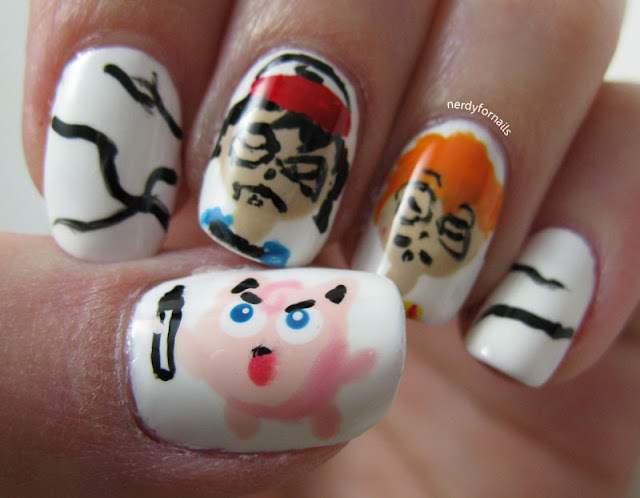 I've had this manicure in mind from the very beginning and I could hardly wait for little Jigglypuff's week. The Jigglypuff episode is one of my favorites. Jigglypuff just wants someone to listen to his song without falling asleep, but that never seems to happen. When his audience falls asleep he gets angry and draws on their faces with a marker. When I told my husband I was going to paint this he thought it sounded way too ambitious, but two hours later here we are. Of course I had to wait till the next morning to show him since he fell asleep before the base coat dried. I started with a base of Sally Hansen, White Tip and then drew on all the details with a little brush. 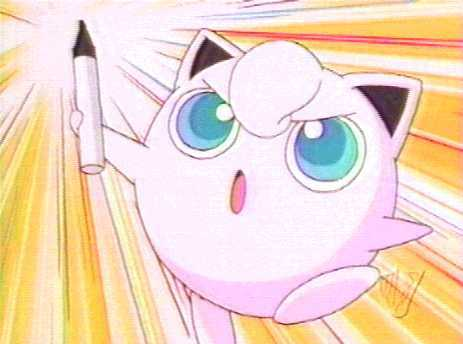 Jigglypuff's body is Sinful Colors, Easy Going with the darker accents in Ten, Dawn. I've had this polish so long I don't know if this brand even exists any more. I certainly haven't seen it anywhere and a google search didn't bring anything up. Jigglypuff is so cute when he's angry. I love juigglypuff (or Pummeluff in german ^_^). And I think it turned out really well! This is adorable!! 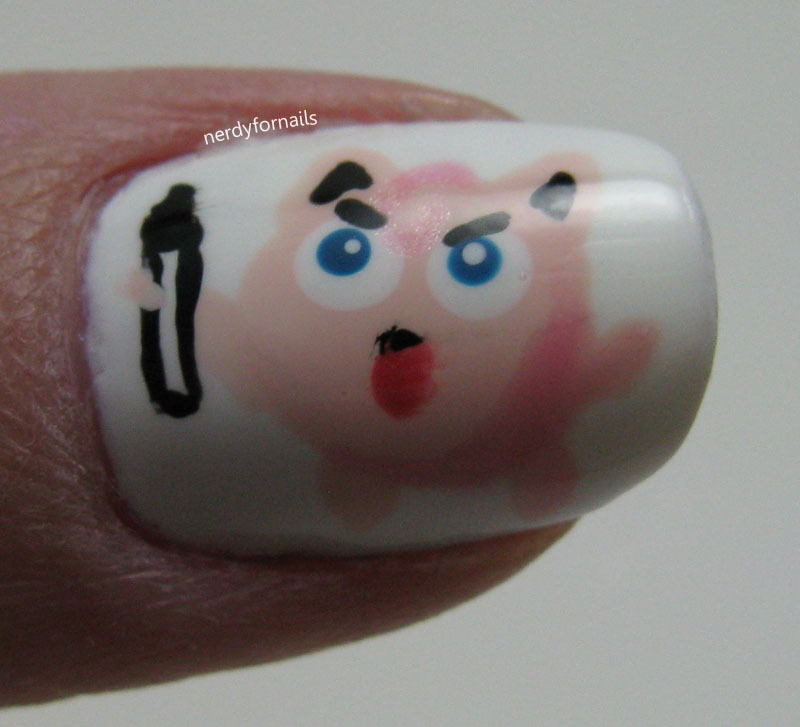 I have never seen the episode but feel like I have after seeing your nails :) Such a cute little angry face he's making!